Below is the recipe I previously posted but in bold and italicized letters are the updates I have made today for those who wish their sauce creamier, specially if you are serving it with bread. Winter = Pasta. 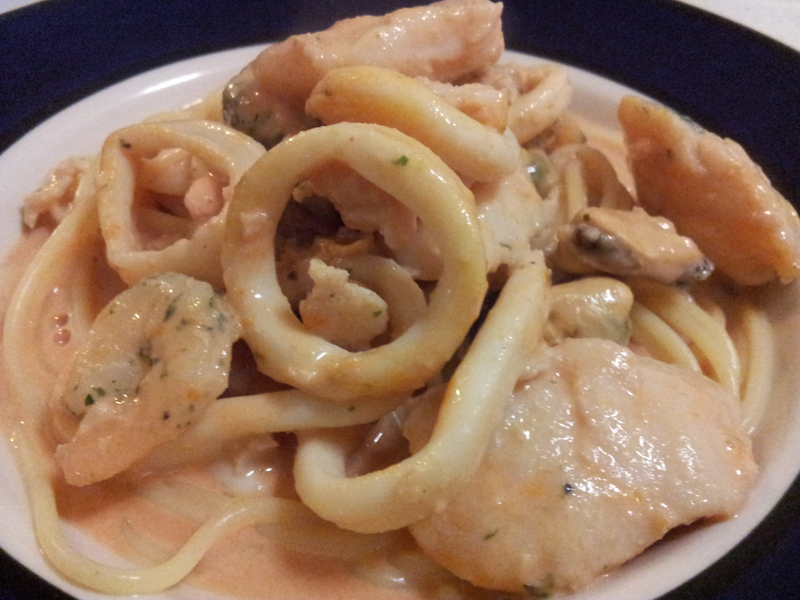 It had been very cold here lately and one of the dishes we would usually have during winter time is pasta. Baked mac. Lasagna. Spag bol. Carbonara. Mac and Cheese. 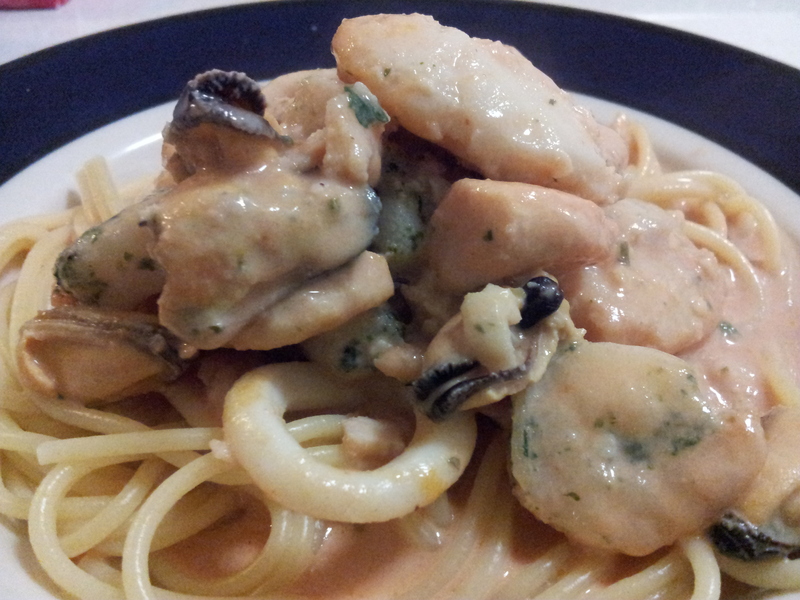 But last night we had Pasta in Seafood Sauce. A simple dish I have learned from my Tita Yeng, who is an exceptionally good chef who used to own a gourmet pizza shop, and currently owns a Thai restaurant called Nam Yeng in Murwillumbah, NSW — try to visit if you are in the area and let her know you know me. Not saying you’ll get a discount hahaha. In a pan, saute in a bit of oil the garlic. 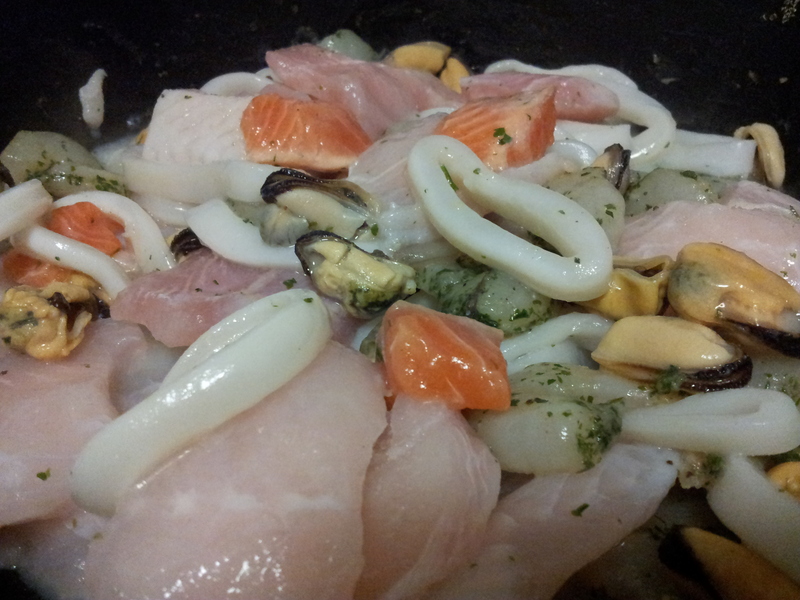 Add your seafood mix and stir fry for about 3 -4 minutes (do not overcook). Add to this your chicken stock powder and mix until combined. Set aside. In a sauce pan, melt the butter. Turn off the heat, add the flour and whisk until a paste is formed. Turn on the heat to medium, pour the cream while whisking and add the tomato paste. Turn off heat when mixture turns thick and creamy. Pour this onto your seafood mixture. Pour your cream, add the tomato paste and the chicken stock powder. Mix to combine, and season with salt and pepper. Serve on cooked pasta or with crusty bread. Top with Parmesan cheese if desired.